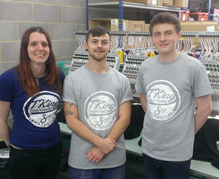 Trevor King and his son John the Managing Director own an embroidery and printing business in Buckingham. A family-run company, Trevor and his son applied for funding via a secured business loan. They managed to purchase a valuable production machine worth over £20,000. It helped them improve the production process and become more competitive, successfully completing large orders from big companies. T King Associates was founded in 1990. 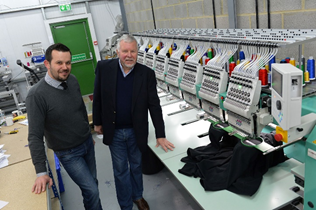 From a small garden shed, all the way up to a large unit on an industrial estate, Trevor and his family have been providing companies with all types of embroidered and printed workwear and gifts, from polo shirts and t-shirts to corporate umbrellas and diaries. Trevor and John decided that Macquarie provided the best option. They’re able to finance equipment from a single provider regardless of type or manufacturer, financing everything from desktop PCs to forklifts. Find out more about Macquarie.